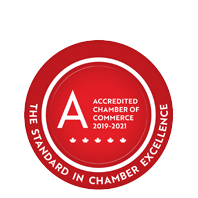 Green Mail - April 9, 2019 - Business Directory - St. Thomas & District Chamber of Commerce - ON, ON ? The weather is so much nicer outside and we're so much busier in the Chamber office! Our Evening with Vic Fedeli is approaching on Tues. April 23 - there's limited seating so reserve your tickets today. The Chamber's trip to Morocco is receiving a lot of attention from some excited travellers. It's over 50% booked less than a week after our Info Night! Tickets are also selling very quickly for our Impact Awards. Watch for the list of finalists to be announced shortly.